politicians or political parties cannot purchase votes if the voters are not available ‘to be sold’.“Electoral malpractices are deep rooted. Those can be controlled only if the voters are aware about their rights and the consequences of cash-for-vote practice. OEW is a part of National Election Watch, a nationwide movement of civil society that began in 2002. In his welcome address Coordinator of OEW Ranjan Kumar Mohanty described about the activities of the forum and its network across the State. “Our main goal is to bring required political and electoral reforms, bring voters awareness & promote free and fair election With active participation of all stakeholders, we hope the mission can be achieved and faith on democracy restored,” he added. 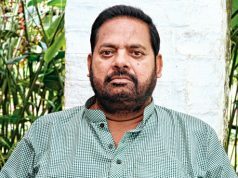 Former Director of Health Services Dr Seba Mahapatra said a principal challenge in democracy is holding the elected leaders and the Government accountable. In its absence, the society gets bad governance, corruption finds place everywhere and the elected representatives get the benefits. “Citizens need to exercise their rights in a responsible way, else it leads to endless conflict with those in power. We should not entertain political leaders or parties who try to purchase us by cash or kind. We must discourage them for favoring us at the time of election”. 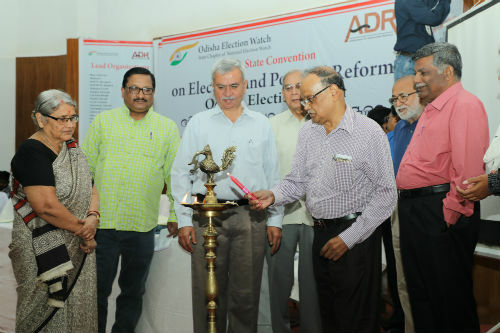 The inaugural session was chaired by former Chief Secretary and core team member of OEW Sahadev Sahoo. He emphasized on more turn out in ethical voting and increased youth participation in the voting process which can bring a great change. In the technical session on ‘Electoral Malpractices: Issues and Concerns’, State General Secretary of BJP Bhrigu Baxipatra shared his experiences he gained over the last one decade on electoral process and different methods adopted by political parties to lure voters. He sounded very pessimistic on the change in practice given the magnitude of money and power involved in the process. 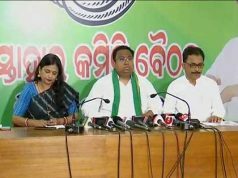 BJD Spokespersons Tejaswar Parida however was very optimistic about the change. He said all stakeholders, including voters need to change their mindset and come forward with the single motto of free and fair election. While Times of India Bureau Chief Ashok Pradhan presented a clear-cut picture on how the elections are being fought by political parties these days and the unethical practices to make voters corrupt, retired professor of political science department of Utkal University Surya Narayan Mishra moderated the session. Speaking on the session “electoral funding, transparency in political party finances “ speakers stressed on limitation of election expenses for political parties. 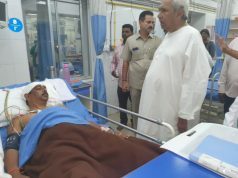 Mr. Panchanan Kanungo Former Finance Minister, Ganeswar Behera, INC, Santosh Das ,CPI[M],Sajan Sharma,BJP,Sulochana Das ,BJD,expressed their grave concern over increasing trend of use of money power in elections. Sj Dharanidhar Nayak,Advocate Odisha High court [INC],Souribandhu Kar,CPI,Lenin Mohanty ,Advocate [BJD],Dhaneswar Mohanty ,Advocate, expressed their concern over politicization of criminals and not only criminalization of politics .Speaking on the session speakers also focused on antecedent verification of the candidates by Election Commission , strict enforcement of existing laws ,necessity of review of Representation of people’s Act and role of all stakeholders to ensure a violence free election. Difference sessions were chaired by Prof SuryaNarayan Mishra ,Sj Baikuntha Nath Panigrahi ,Former DDG ,prasar Bharati, Sj Amiya Bhusan Tripathy ,Former DGP ,Odisha .Mr K .K. Swain gave vote of thanks.